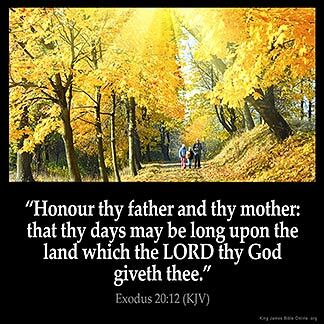 Exodus 20:12 — "Honour thy father and thy mother: that thy days may be long upon the land which the LORD thy God giveth thee." 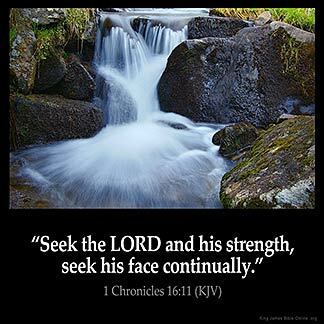 1 Chronicles 16:11 — "Seek the LORD and his strength, seek his face continually." 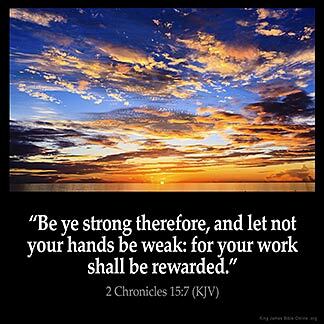 2 Chronicles 15:7 — "Be ye strong therefore, and let not your hands be weak: for your work shall be rewarded." 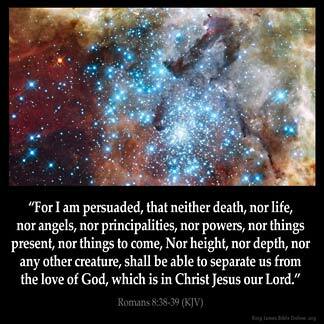 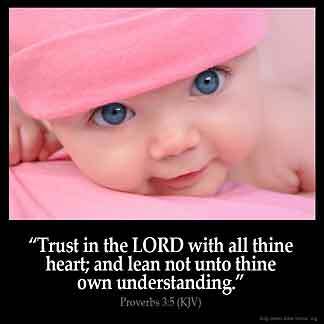 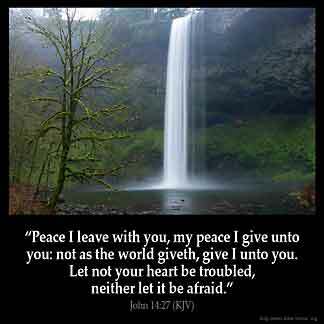 Proverbs 3:5 — "Trust in the LORD with all thine heart; and lean not unto thine own understanding." 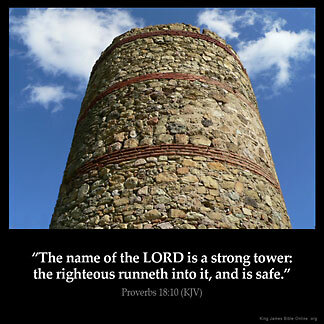 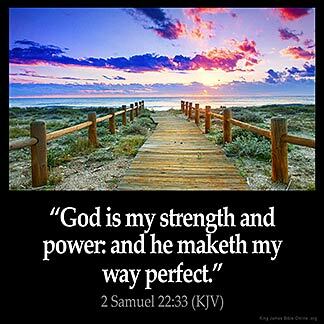 Proverbs 18:10 — "The name of the LORD is a strong tower: the righteous runneth into it, and is safe." 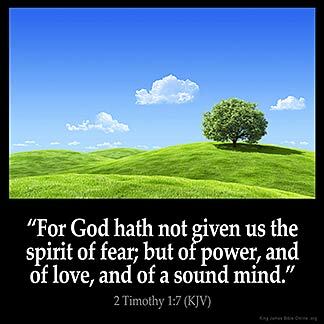 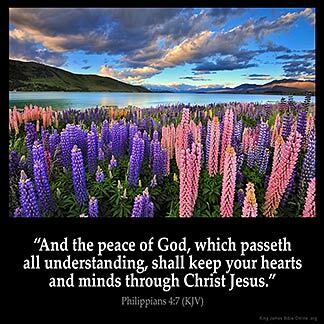 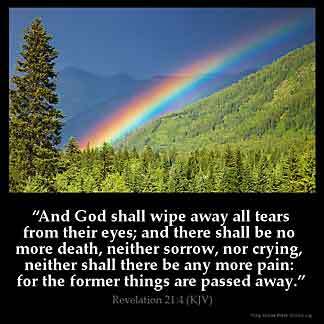 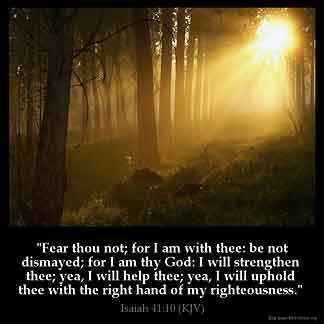 Isaiah 41:10 — "Fear thou not; for I am with thee: be not dismayed; for I am thy God: I will strengthen thee; yea, I will help thee; yea, I will uphold thee with the right hand of my righteousness." 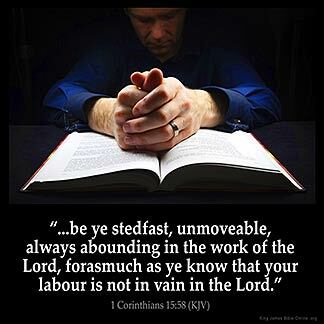 1 Corinthians 15:58 — "...be ye stedfast, unmoveable, always abounding in the work of the Lord, forasmuch as ye know that your labour is not in vain in the Lord." 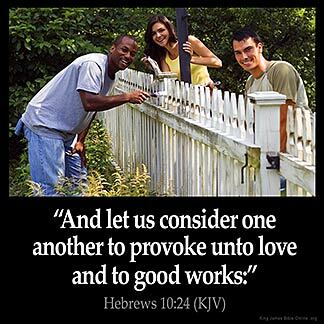 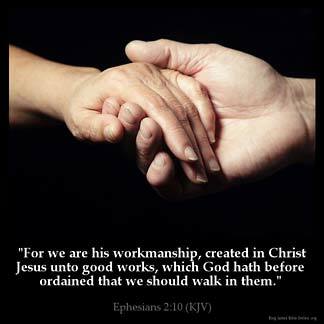 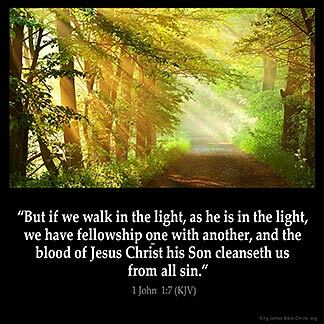 Hebrews 10:24 — "And let us consider one another to provoke unto love and to good works:"
1 John 1:7 — "But if we walk in the light, as he is in the light, we have fellowship one with another, and the blood of Jesus Christ his Son cleanseth us from all sin." 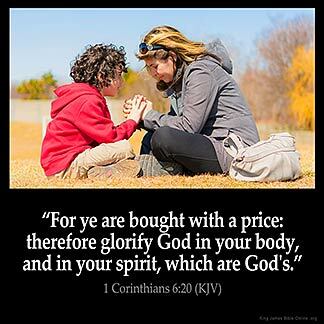 1 Corinthians 6:20 — "For ye are bought with a price: therefore glorify God in your body, and in your spirit, which are God's." 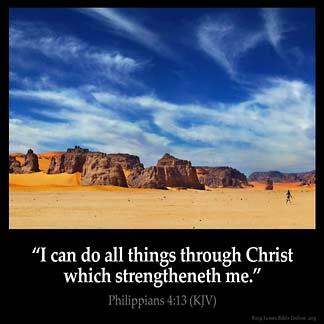 1 Thessalonians 5:18 — "In every thing give thanks: for this is the will of God in Christ Jesus concerning you." 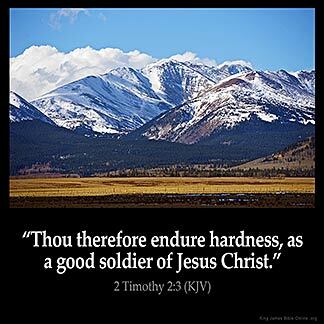 2 Timothy 2:3 — "Thou therefore endure hardness, as a good soldier of Jesus Christ." 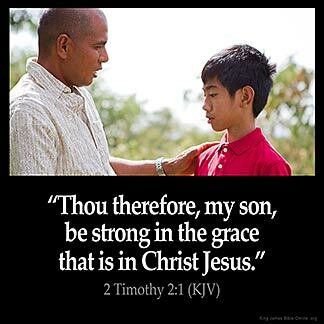 2 Timothy 2:1 — "Thou therefore, my son, be strong in the grace that is in Christ Jesus." 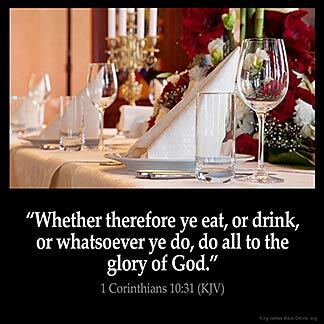 1 Corinthians 10:31 — "Whether therefore ye eat, or drink, or whatsoever ye do, do all to the glory of God."